To add its voice agent Alexa to Windows, Amazon has launched an Alexa app for Windows 10 PCs. With the app, consumers can access Amazon’s voice agent directly from their computer without using a device from the Amazon Echo line of smart speakers. The voice capability being added to Windows 10 PCs includes the ability to tap and ask Alexa to check a calendar, play music, create lists, answer questions and read the news. For example, a consumer could ask "Alexa, what’s on my calendar today?" or "Alexa, read me a book." 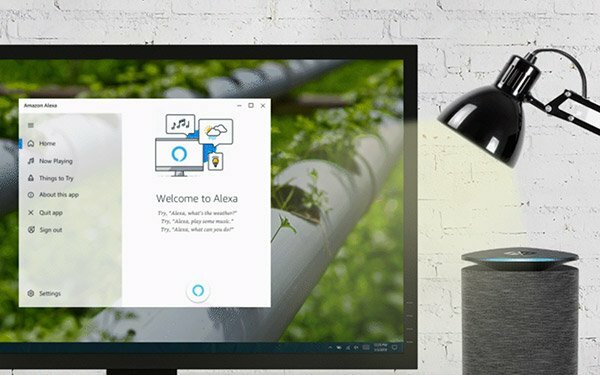 The voice agent on Windows 10 also could be used to control smart-home devices like smart lightbulbs by voice commands.